Brighton is a beachfront condominium community located at 2000 North Ocean Boulevard in Boca Raton, FL. This exclusive, boutique-style condominium consists of a single eight-story building with only 39 units, each offering spectacular views. With only two units per floor, residents at Brighton enjoy the utmost peace and privacy. Originally constructed in 1979, the Brighton has recently completed major renovations including complete concrete restoration of the entire building. Brighton condos have three to four bedrooms and offer 2,400 to 3,700 square feet of living space. These spacious units boast a plethora of high-end features, including large master suites with custom walk-in closets, floor to ceiling windows that allow in an abundance of natural light, marble floors, private bars, and spacious balconies offering amazing views of the ocean, Intracoastal, and the lush nature preserve located directly to the south of the building. In addition to the balcony off of the main living space, each bedroom also offers balcony access. Many of the units at Brighton have been completely remodeled and some are multi-level offering two levels of luxurious oceanfront living space. The Brighton Condominium community is located at 2000 North Ocean Boulevard just north of Glades Road. This premier location offers its residents the convenience of being in close proximity to some Boca Raton's most popular attractions, including numerous entertainment, shopping, and dining options, as well as several award-winning golf courses, popular recreational facilities, and beautiful community parks. With its prime location, world-class amenities and breathtaking views, Brighton Condominiums offers South Florida living at its absolute finest. If Brighton sounds like a place that you would love to call home, you may want to visit similar luxury condominium communities in Boca Raton, such as Placide and Beresford. If you would like to learn more about condos for sale in Brighton, or other waterfront condominiums in Boca Raton, please call us at 561-998-9015. You may also reach us by completing our simple online contact form below. 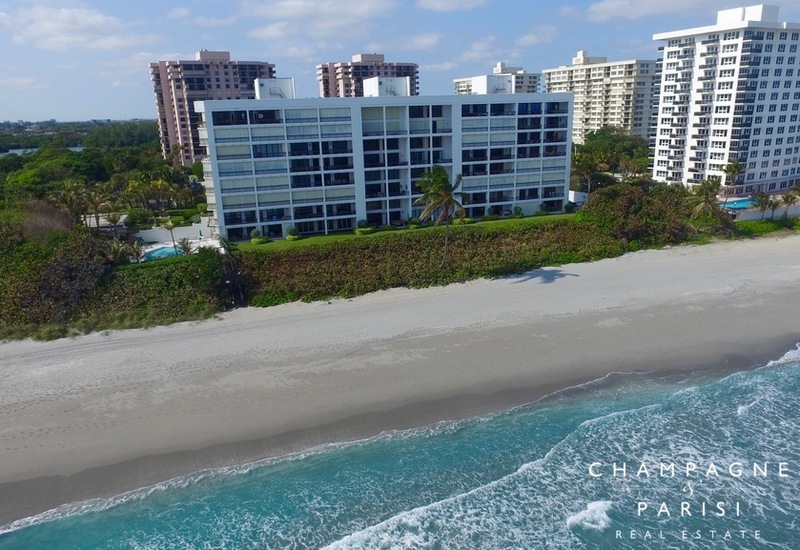 We at Champagne & Parisi Real Estate look forward to assisting you in finding your dream condo in Boca Raton, FL!